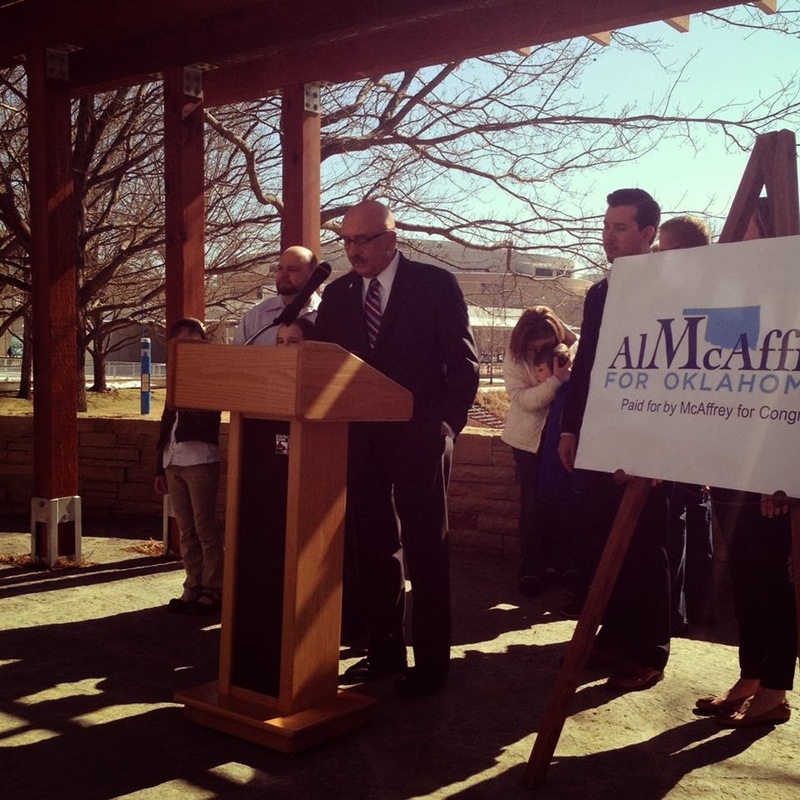 State Sen. Al McAffrey (D-OKC) officially announced his campaign for the 5th Congressional District on Thursday. McAffrey, the first openly homosexual member of the Oklahoma legislature, joins Tom Guild and Keith Davenport, and Marilyn Rainwater as the current Democratic candidates. Elected in one of Oklahoma's most liberal legislative district, McAffrey has no real shot at defeating the GOP nominee. On the Republican side, candidates so far are Shane Jett, Patrice Douglas, Clark Jolley, and Steve Russell.